Maggie Green has been with BikeWalkKC since Co-founder Eric Bunch recruited her for volunteer work in 2011. She grew alongside what was once a fledgling nonprofit and excelled at every stage of her journey. 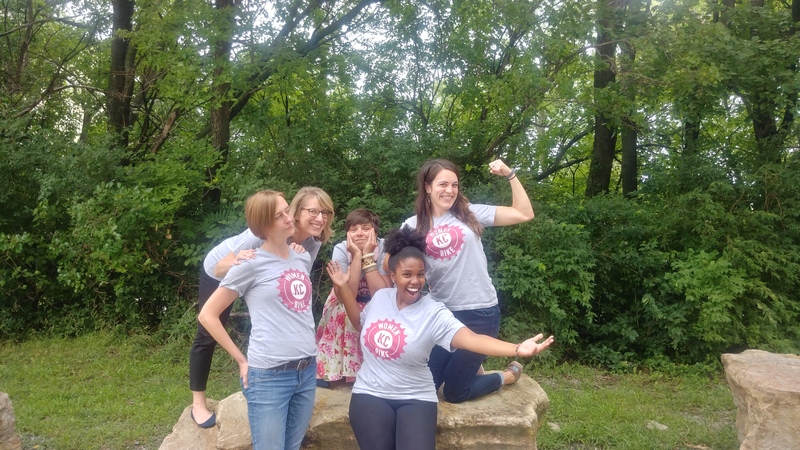 From Women Bike KC, to Safe Routes to School, to Transportation Equity programs, to the Aetna Research Project, Maggie has led important initiatives that propelled the organization to the upper echelons of bike/ped advocacy organizations. Eric Bunch, Policy Director and Co-Founder. I have many memories of working with Maggie. It’s hard to pick just one. But I would say that teaching Maggie to drive a manual transmission might be my most interesting one — the irony is not lost on me that my favorite memory of our time working together at BikeWalkKC involves an internal combustion engine. Anyway, because the training vehicle was a 20-foot, diesel box truck the situation was a bit stressful. Before long though, she was driving the “Bikemobile” like a pro. This was very early in her BikeWalkKC tenure — she was a part-time instructor at the time — but it was a sure sign she was going to be a very important part of the organization’s future. It was an early display of Maggie’s persistence through adversity as well as her willingness to try new things. She was also assertive and honest through the process. And sure enough, she used these strengths to become a critical part of the growth of BikeWalkKC. Without Maggie’s unique balance of strategic leadership, effective communication, and impeccable organization we would not be where we are today. They don’t realize it, but City of KCMO just won the lottery. They’ll learn soon enough. 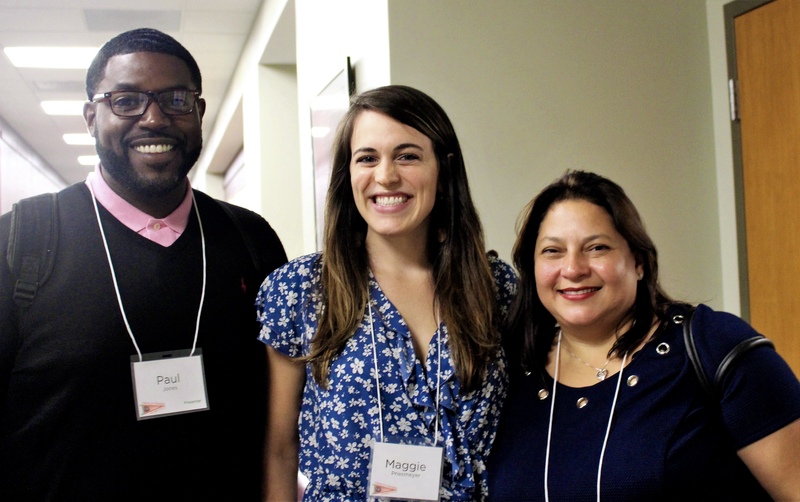 It’s been a joy to watch Maggie grow from a volunteer right of college into a high-performing nonprofit leader. Under her leadership, BikeWalkKC’s Safe Routes to School and Bicycle Education programs have grown to become some of the largest and most impactful such programs in the United States. Having Maggie inside City Hall will be tremendous for the cause as KCMO begins working to implement a new bike baster plan and a $150 million sidewalk reconstruction program. projects between BikeWalkKC and the Public Works department. Best of luck on all of your future career and life endeavors, Maggie! I will never forget when Maggie decided to wear a leather hat to work Tour de Bier all day in the heat, and then was delirious from the heat to the point where BikeWalkKC staff had to lock her in an air-conditioned room in the back of Knuckleheads. Literally a hot mess, but all was good in the end! I knew from the first day I interviewed at BikeWalkKC that Maggie and I would become friends, no matter what. Maggie has this incredible combination of drive, energy, humor, compassion, and vision that I was instantly drawn to her. I remain impressed and inspired by her, and we regularly exchange greetings of, “love you, love your work.” Some of my favorite memories of Maggie are of course on-bike: she has always encouraged and supported every single person who showed an inkling of a desire to ride, no matter how inexperienced or unsure they may be (like I was). I’ll never forget being a Karl-and-Maggie sandwich as we rode on Ward Parkway through the Plaza a couple of years ago! Watching her present at the Women’s Bike Summit or showing a kid how to change a flat always brought joy to my heart. Maggie is a born leader with many so great things ahead of her; BikeWalkKC has been lucky to have her and the City is lucky to get her. I’m grateful she will remain a friend of the organization and a friend of mine. Trust me, this is no “regular” individual – Maggie is truly special! Maggie has been such a professional role model for me, and while I wasn’t quite ready to see her go, I know she will meet the challenge of her new position head on and will find a way to improve it. It’s been fascinating to watch her work her magic: whether it’s been with a group of elementary students or at a high-level stakeholder meeting. I feel her true leadership lies in her ability to balance strategy, cultivation and passion for the mission with the utmost of elegance and professionalism. Best of luck, I’ll miss you so much Maggie! Your passion and personal drive to change your community is a true inspiration to Alex and I. From the moment you interviewed me two years ago I know you were a powerful women I wanted to get to know. Not only are you fearless, but you have incredible style! Never stop wearing your heels while biking! Vista High School for their after-school Bike Club. We rode in the rain that day and you rode the whole way with the bike trailer hooked up to your bike. I loved that wet rainy ride! You, Dave, and I had one heck of an adventure navigating wet roads and enjoying lighthearted conversation. Never stop being a “mover and a shaker,” Maggie. Best of luck on your next big adventure. I’m sure it won’t be as wet as our bike adventure to Alta Vista, but just in case… wear those wedges with pride! 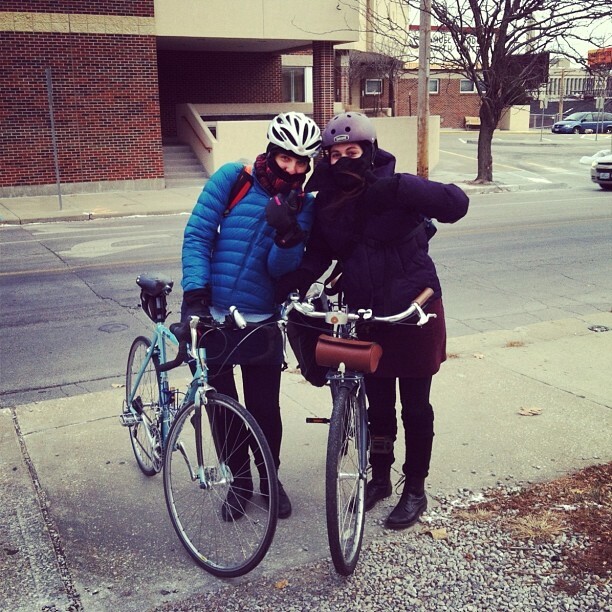 I met the Maggie and the rest of the Velo Vixens when I first moved to Kansas City. These women rode their bikes where they wanted and how they wanted, which for Maggie often meant a dress and enormous platform wedges. She is fierce advocate for transportation equity, a passionate educator, a compassionate human being, and a very stylish bicyclist. My absolute best to Maggie on her new adventure, where she is sure to meet every opportunity with her signature courage, vision, and fortitude. Maggie really is someone who believes in making sure that people feel safe and encouraged when riding a bike. When I got my own after a few months here, she offered to ride with me to the office so I wouldn’t have to do it alone, basically 3 miles out of the way! 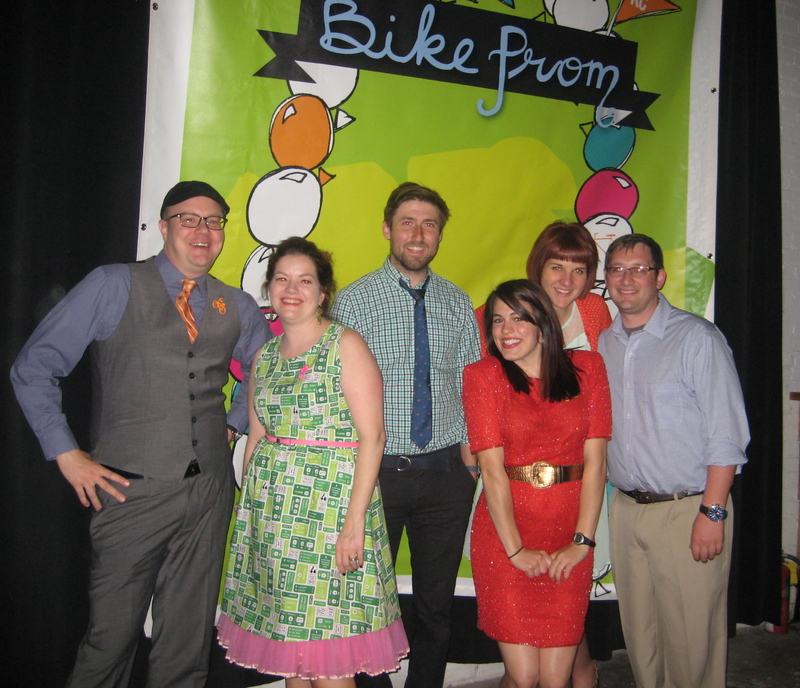 We’ve worked together on cycling advocacy in KC for a long time. I think we met when she was studying public health at UMKC, before her masters? Maybe that was 8 years ago? Anyways, it’s been extremely exciting to see my friend grow and accomplish so many things, and to eventually have the opportunity to call her my boss. She hired me on at BikeWalkKC during a time when I was really at a crossroads about what I wanted to do, and how I wanted to make an impact. Being on the Education Team has been one of the most rewarding things I’ve ever done. What can I say? Maggie’s ambition is inspiring and contagious. I know she’ll continue to spread that feeling wherever she goes, whatever she does. Here’s to your next chapter Maggie! ~Stoked to be along for the ride and to able to continue to call you a friend and collaborator. Maggie is a great inspiration to everyone. She has been the one to always smile and greet everyone every day, she is always there to help whenever she can, and never says quit. She is a major part of what BikeWalkKC is today and she will be greatly missed. Take a single step, on any given day, through the doors of BikeWalkKC and it will not take long to see and feel the enormous impact Maggie has on the organization. Often times, her presence is felt even earlier, at the bike rack. The black Surly with the lime green handlebars seems to, quite often, be the first bike to arrive each morning. In the short time I have known Maggie, it has become abundantly clear what an absolute force she is. She leads with such confidence and clarity; it is truly inspiring to witness. Her passion and knowledge is unparalleled and will be greatly missed. As she moves on to the next adventure, we will certainly feel her absence, but the foundations she has set will continue to inspire, motivate, and live on for so many years to come. Congratulations Maggie! I wish you the best as you move on to this new, exciting chapter! Working under Maggie for the last few years has shown me what strong, caring, and effective leadership can accomplish. She inspires those around her through the impact of her work and the integrity of her character. Maggie will be dearly missed at BikeWalk, every… single… day. Though her tenure here ends, it is clear she will remain a force of positive change in the City. Farewell, Maggie Green. We can’t wait to see what happens next. 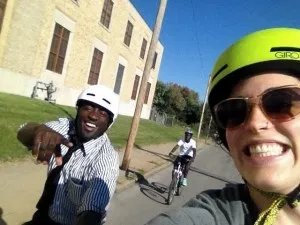 In October 2016, students in the East High School Bike Club rode to the 18th and Vine Jazz district with City Councilman Jermaine Reed. A few days later, Councilman Reed shared his experience with the students as he led a committee vote for $1.2 million of funding for new bicycle infrastructure. For me, this story encapsulates so much of what makes Maggie’s work at BikeWalkKC important and special. Foremost, this is a story about young students learning about themselves and their city with smiles on their faces. Through the Bike Club, which Maggie helped to pioneer, and through elementary and middle school programming that Maggie helped to disseminate and make available to thousands of children throughout the region, these students were provided an opportunity to grow as individuals and also to learn how important their voices and actions were to shape the communities they desired. Having City leaders experience City streets from a bike with these students made abstract policy discussions real, and rooted these debates in the realities of the challenges faced by our communities’ most vulnerable. 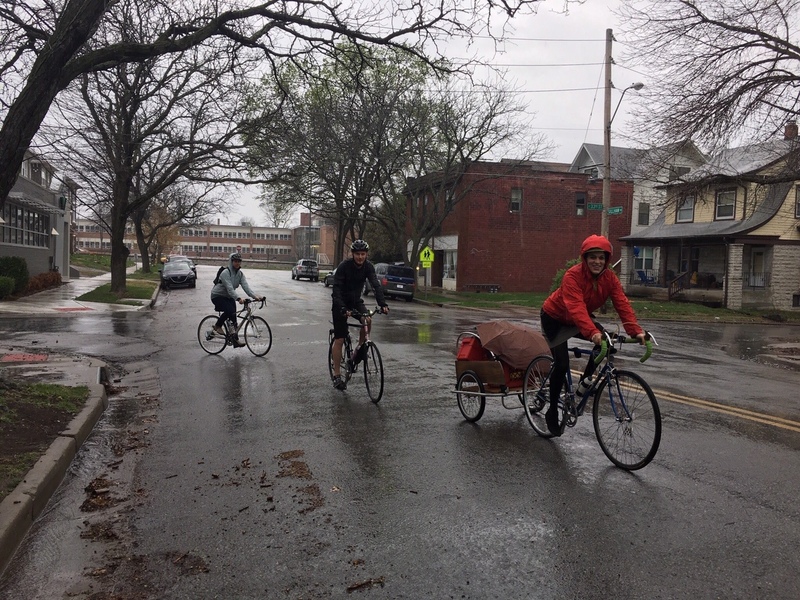 In that way, something as simple as teaching a young person to ride a bike feeds a greater mission – to steadfastly transform Kansas City into a place that is safe, comfortable, and accessible to everyone. It sounds simple, but it is very hard to do. BikeWalkKC will miss that magic when Maggie leaves, and the City will be better for it. 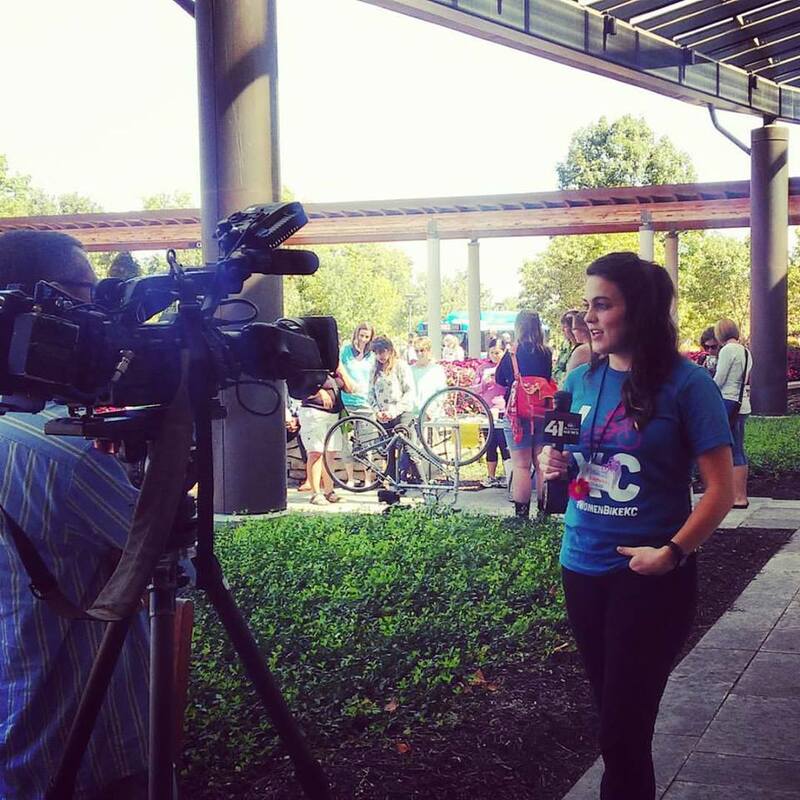 As you can see, Maggie is a part of what BikeWalkKC has become, and we look forward to seeing her continue to grow. Cheers to you, Maggie!